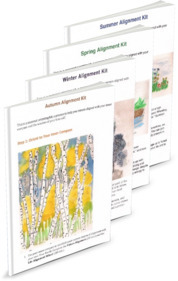 Seasonal Alignment Kits help you step back from the pressures and demands of your daily life, to connect with your soul. They are filled with reflections that help you easily access the wisdom and direction of your true self. These are free downloadable PDF’s.